Every year, thousands of gamers head down to a local custom PC shop to see the latest and greatest in gaming technology. Ten years ago, custom gaming PC manufacturers were hard to come across. But today, consumers can buy a gaming PC in almost any configuration they need to suit nearly any type of purpose. 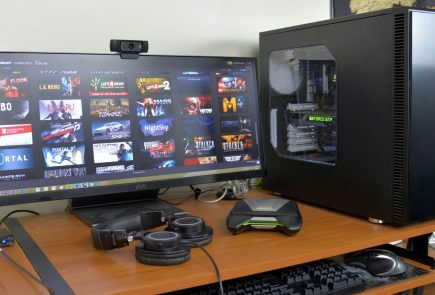 Many of the top gaming PC brands sell their products for a premium price, but consumers may not realize that they can get nearly identical gaming PCs by going off label. We’re going to take a look at what hardware is out there today and show you a number of awesome gaming rigs that are available for rock bottom prices. 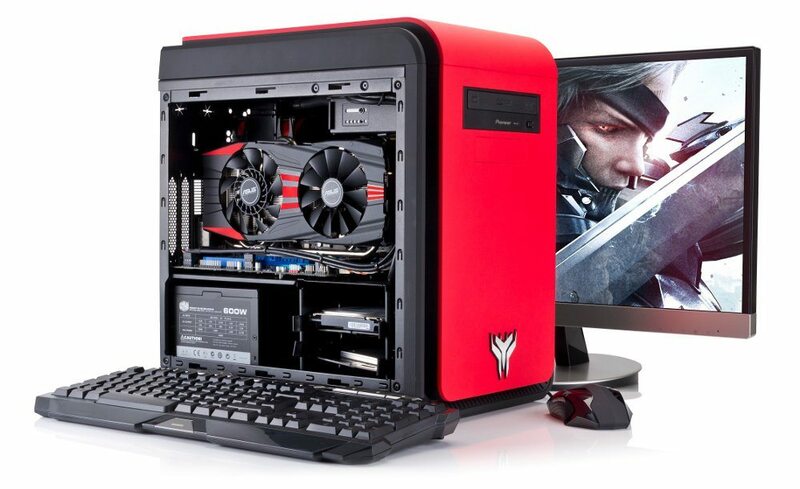 Finding the ultimate gaming PC requires that you consider a few factors. What is your budget? What kind of PC games do you want to play? Are you the type of PC gamer who want’s the best of everything, or would you prefer to save money and focus on something which is simply adequate for modern games? 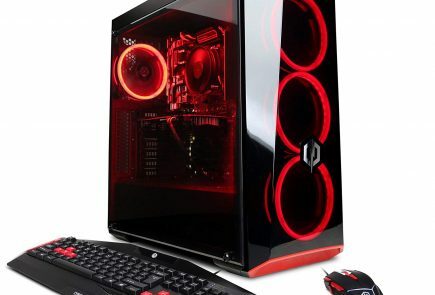 Is this a gaming PC you want to last you for many years, or are you going to be regularly upgrading so you always have access to the latest technology? No matter what your individual needs are, we’ll cover everything you need to know about gaming PCs. While picking up the best gaming PC for a great experience, choosing a good display is essential for stunning gaming experience. There are many good monitors available in the market having good response time, refresh rate and the ability to run 4K games smoothly. You can read Progeeksblog best monitors round-up for choosing the best monitors for building a perfect gaming PC. Console gaming has certainly caught a lot of traction. Xbox One and PS4 consoles are more popular than any of the previous generations, but consoles come with a few tradeoffs. First, consoles are usually much less powerful than their PC equivalents. In fact, all consoles are actually built using PC components. If you had two identical games, one designed for consoles and one for PCs, you’ll often find that the PC version performs much better than the console equivalent. This is because gaming PCs are simply more powerful than consoles, and games have a lot of additional resources that they can take advantage of. In most cases, you’ll actually find that the console version of a game is “stripped down,” meaning that features had to be removed or optimized in order to get them to run well. The perfect example of this is Grand Theft Auto 5. The graphics were certainly passable in the console version, but on PC they are downright incredible. Textures and lighting are detailed and realistic, models are sharp and clear, everything just looks better. On top of that, most PC games have features and modes not available on consoles. It’s clear that if you’re a gamer, owning a PC is the only way to get the most out of your games. PC gaming is especially popular with users who like to play online. Working through a campaign can certainly be fun, but when you get into the world of playing online your fun environment turns into a cut-throat battleground. Even the smallest things can give you an edge and help you come out ahead, or hinder your performance and leave you behind. A large component of this is the methods of control. A good mechanical keyboard and gaming mouse offer ten times the precision of the analog sticks found on consoles. Plus, many gaming peripherals allow customization so you can create your own key combos and play styles that will leave your competitors in the dust. Aside from controls, the game’s performance actually makes quite a difference. Generally speaking, gaming graphics cards and computer monitors are able to render your games with high framerates and low lag, meaning you’ll see what’s happening before your competition. The difference in quality is so dramatic that some game manufacturers have divided online play between PC gamers and console gamers. There just simply wasn’t any chance that console gamers could be competitive. Finally, one of the biggest benefits of PC gaming is control. When you’re buying a console, you really only get to choose how much storage space you want. But with custom PC rigs, you’re able to choose every last detail down to the nuts and bolts to create a system that perfectly fits your needs. Even if you don’t know where to start, this guide will explain everything you need to know to find the best gaming PC. This is an important decision to make, and one that is commonly debated. There are pros and cons to each side, so it really just boils down to preference. If you’re looking for a high powered gaming PC, building one may be a good option. At any point in time, the best gaming PCs ever built is usually something that has been custom created by an enthusiast. Building lets you hand select every component of the gaming rig to suit your exact specifications and will cost a little less than picking one up pre-fabricated. On the other hand, not everyone is skilled enough to configure a gaming PC. You’ll want to have a pretty decent understanding of the inner workings of the hardware and software that goes into these machines so that you can properly optimize how everything runs. Picking the right parts is certainly important, but if you really want to have the fastest gaming desktop you’ll need to make sure you set everything up correctly. More often than not, a properly optimized gaming PC can outperform one that has higher specifications. Other users may just be looking for a cheap gaming PC or a simple way to get themselves up and running. In this case, purchasing one that is pre-manufactured is a great option. Once the computer arrives at your door, you’ll be up and running in minutes. Whether you’re an advanced user or a beginner, we’ll cover everything you need to know to select from one of our great gaming PCs. We’ve scoured the internet to find the best pre-built models, and hand selected components to help you build your own gaming PC that will fit any budget. If you just want us to show you the top 6 gaming computers on the market, you can check out our Top Gaming PCs guide. If you have a bit of time, It’s prudent to know what all the numbers and specifications mean. There are a number of retailers that take advantage of consumers who don’t know how a PC works. Once you understand the basics, you’ll be able to tell a good gaming PC from a bad one with just a quick glance. Architecture is the easiest one to watch out for. Most PCs are built with desktop architecture, meaning that the parts were designed for performance and not battery life. 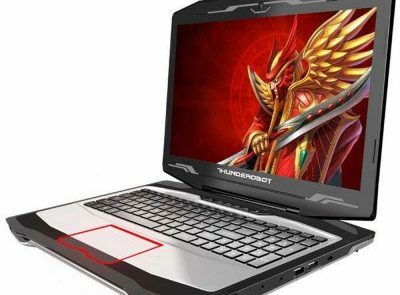 Some of the “ultra slim” or “all in one” computers are actually made out of hardware designed for laptops, and these are simply not suitable for gaming. Cooling is extremely important for gaming performance. When your processor and graphics card are working hard, they generate heat. Fans and heatsinks pull the heat away from the chip, but you need a way to remove it from the case. When chips get too hot, they slow themselves down to prevent overheating. 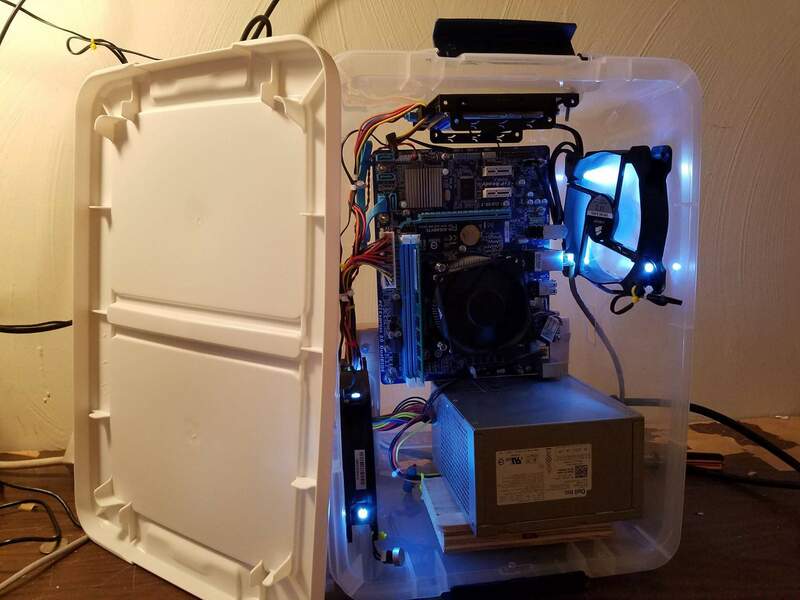 This will make your games run terribly, so look for a case that has multiple fans inside of it. Lastly, you need to consider upgradeability. Even if you buy a custom PC online today, there is a chance that you’ll want to give it a little boost in a couple years. Make sure there are some free slots for RAM, and maybe space to mount another hard drive. Upgrading your computer will save you money on replacing it, and increase the value of your current gaming PC. What components do you want to see inside your gaming PC? There are literally hundreds of ways for a PC to be configured, but following these guidelines will allow you to tell which is better. The current king of the gaming processors is the i7-6700K. It’s got a proven track record of working well with all modern games and has a loyal following of users. If you find a computer with a different CPU, you can use Anandtech’s CPU benchmark tool to compare different processors. If it performs better than the i7-6700, you’re likely wasting money on a CPU that is unnecessarily powerful. As long as the CPU is at least 40% as powerful as the i7, it will still run modern games. But that would be the bare minimum, whereas the 6700 will run everything with ease. 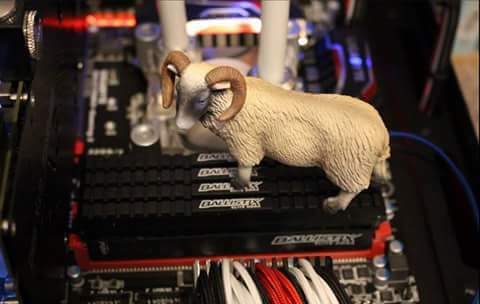 For RAM, you’re going to want at least 8GB of memory. This will run all games pretty easily. If you want a high-end gaming PC, 16GB is a safe bet. There will be times during gameplay when that extra ram will keep things smooth. Currently, 32GB is overkill so there is no sense in going that high. Last but certainly not least, the Graphics card is what will make or break your system. Right now, the fastest card on the market is the Geforce GTX 1080. But most users find that it doesn’t offer particularly good value. In fact, it only benchmarks to be around 10% faster than the previous model, the GTX 1070. Since the 1070 can already play the latest games at the highest quality, you’ll save a ton of money with the GTX 1070. If you’re trying to save money, the mid-range GTX 980 also performs quite well. If you’re pinching every penny, the cheapest card you can buy that will still play modern games is the GeForce GT 720/730. In most circumstances, the brand name products outclass the knockoffs by a large margin. Custom made gaming PCs are the one industry where this is not true. Processors, motherboards, memory and other components are only made by a few manufacturers. A gaming desktop made by Dell is composed of the same components as one from a local computer shop. The main difference between the two is price and performance. When you buy from a major brand, you’re making an incredibly safe investment. You’re protected by a warranty, and you can be reasonably assured that nothing will go wrong. However, these gaming computers always stand on the side of caution. Large brands aren’t really “pushing the boundaries” because they want to build computers that will be enjoyed by the most people. If you really want access to cutting-edge technology, you’ll want to buy custom. Custom computer manufacturers usually don’t enter the business because they want to get rich. They do it because they love technology. They get to design and assemble computers that surpass anything on the market. Because they are usually a pretty small business, they could design a super high-end system that may only be purchased by 1000 people because that will keep them busy for months. Often, you’ll find that these computers have been “overclocked.” By installing reliable power supplies and cooling equipment, they can make a processor run faster than its rated speed. This is a way that you can own a gaming PC faster than anything you could buy in a store, without having to do the complicated process yourself.